– Around a new Moon when the Earth and Sun are aligned on opposite sides of the Moon. 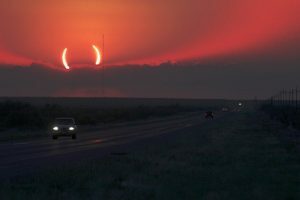 – The Moon and Sun must be near a lunar node forming an almost perfect line between the Sun, the Moon, and Earth. 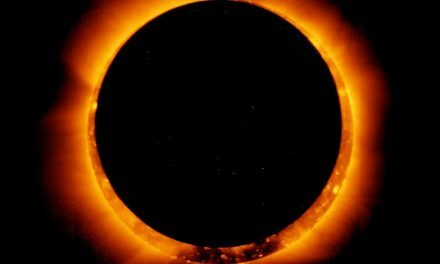 The annular solar eclipse occurs 6 months before the “Great American Eclipse,” Aug. 21, 2017, that will be visible in the United States for the first time in 37 years. 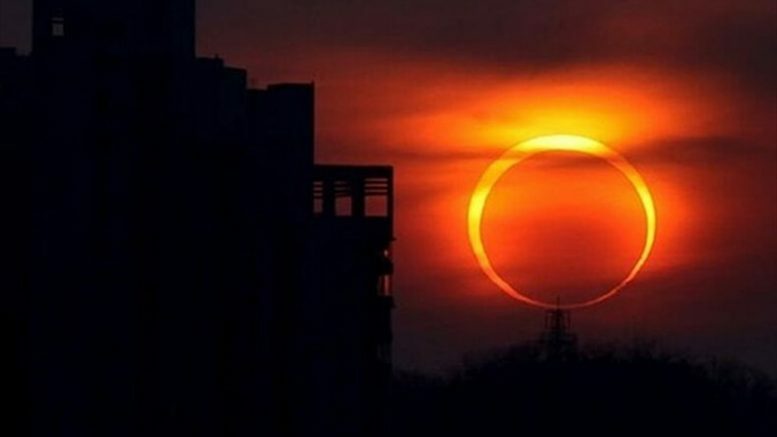 Where to watch the ‘ring of fire’ eclipse? 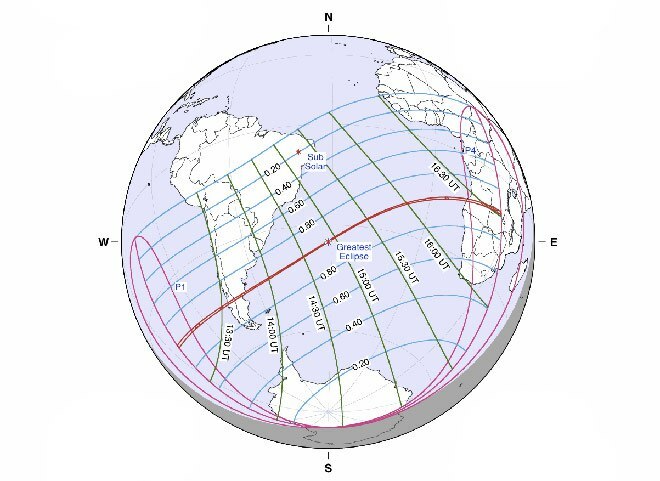 This eclipse begins west of Southern Chile and ends over Angola, Zambia, and the Democratic Republic of the Congo in Africa. 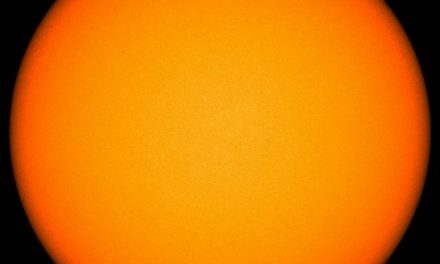 A partial eclipse (a total of 1 minute and 22 seconds) will be visible over most of South America, Africa, and Antarctica. If astronomy is your jam, you can track the eclipse from NASA’s interactive Google map. 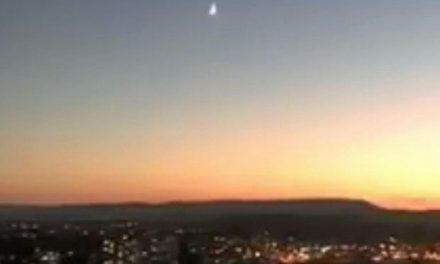 This celestial event is a countdown for the total solar eclipse, also known as the “Great American Eclipse,” Aug. 21 that will be visible in the United States for the first time in 37 years.